Watch closely to see the process of decomposition with this one-of-a-kind, transparent composting kit for children. 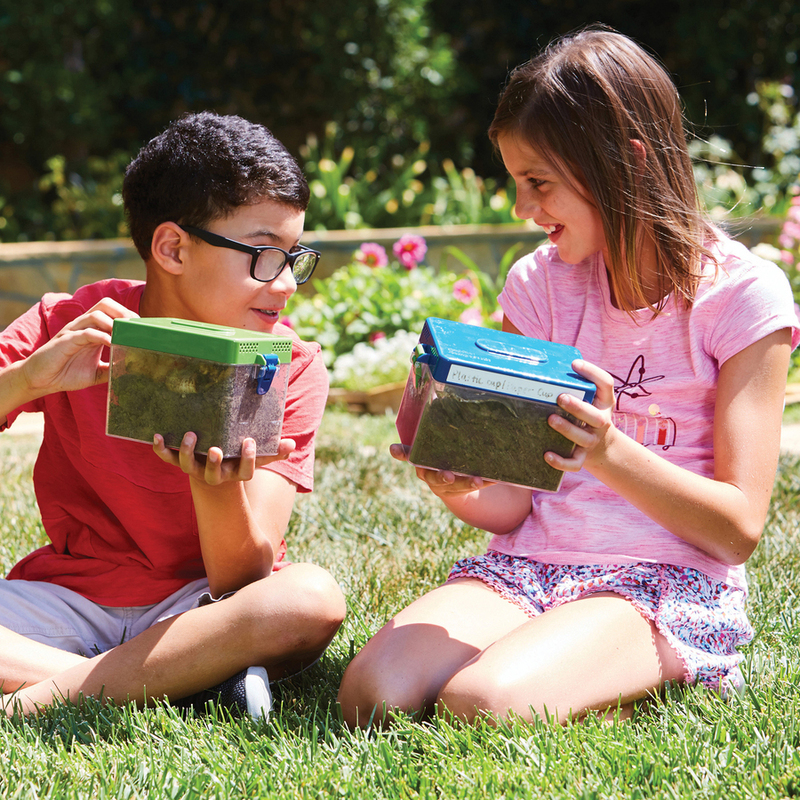 Two stackable containers with built-in magnifiers, the possibilities are endless for experimentation through observation. Write-on/wipe-off labels help students easily keep track of what's in each container. Multilingual activity guide includes information about the science of decay to provide a better understanding of decomposition and the impact waste has on the environment. 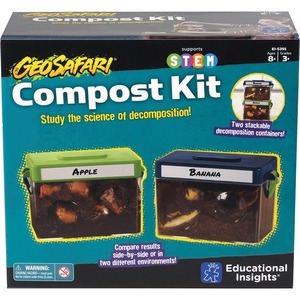 Perfect for STEM learning, this composting kit is designed for children ages 8 and above.